Ginger is an increasing popular root due to its remarkable characteristics. It is native to China, and in general, it is used as a spice. Yet, it can also serve as an addition to drinks, such as the ginger ale drink, or in gingerbreads or ginger biscuits. However, apart from its unique taste, it offers innumerate health benefits. Namely, if you chew it, you will trigger your appetite, and stimulate the digestive juices. Moreover, ginger can be chewed in order to stop vomiting and nausea. Diabetics are also advised to drink ginger water in the morning on an empty stomach, in order to regulate the blood glucose levels. If you mix turmeric and ginger and prepare a natural paste, you can treat muscle strains by rubbing it on the aching body parts two times a day. Yet, these are only a few of the innumerate ginger uses. Natural ginger treatments are extremely effective in the case of common colds and sore throat. All you need to do is to cut the ginger into slices, and add them to boiling water. Then, add some honey and lemon. This natural cure can help you relieve a sore throat and the nasal congestion. 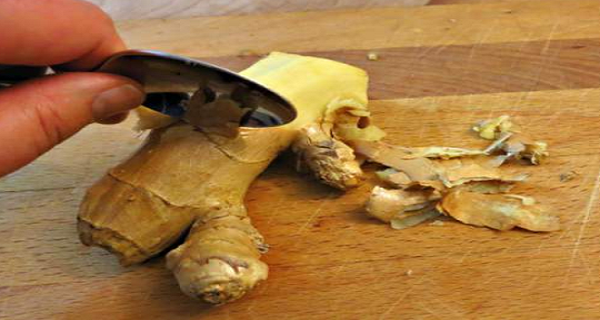 In the case of indigestion, ginger is the perfect remedy that can help you. Namely, in order to calm the upset stomach and avoid its bloating and gas, you should boil some ginger slices in water, add honey and consume the drink. The combination of ginger, peppermint and cayenne pepper can do miracles in the case of the unbearable migraine headaches. Yet, its preparation is simply: in a pot with boiling water, add a teaspoon of dried peppermint, a pinch of cayenne pepper and several ginger slices. Let the mixture simmer for some time, and then add raw honey or Stevia to sweeten it. Furthermore, you can also use it topically. Add half a teaspoon of ginger powder in some water and apply the paste on your forehead. This will effectively soothe your headache. Acid blocker drugs have a detrimental effect on the stomach acid barrier, so they can lead to ulcers and stomach cancer. On the other hand, as reported in the Molecular Research and Food Nutrition, the ingredients of this remarkable root are six times more useful than these medications. Due to its strong anti-inflammatory properties, ginger can also alleviate the toothache. All you need to do is to rub some raw ginger on your gums. Also, you can boil it in water, cool the solution and then use it to rinse the mouth. Ginger contains gingerol, an active ingredient which is efficient in fighting against cell inflammations. One study done on patients suffering from arthritic and muscular pain, found that the consumption of ginger successfully reduces pain and muscle swelling. Ginger also provides relief in the case of morning sickness during the pregnancy. Yet, women should consult their doctor before they start using any new medication, herb or method. Many studies suggest that the use of ginger rhizomes lowers inflammation of the colon and intestines, thus reducing the risk of colon cancer. Moreover, doctors at the UMCCC (University of Michigan Comprehensive Cancer Center) proved that this amazing root successfully inhibits ovarian cancer cells. 10 Almost Life-Changing Uses For WD-40 You Didn’t Know!